Similar words: get up early, pearly, keep early hours, early, dearly, nearly, yearly, early on. 1. Not having to get up early is just one of the perks of being retired. 2. She finds it very difficult to get up early. 3. His custom was to get up early and have a cold bath. 4. We have to get up early to catch the tide. 5. There is no need for you to get up early tomorrow. 6. I hate having to get up early in the morning. 7. Mr. Walt never failed to get up early. 8. It won't hurt Julia to get up early for a change. 9. The idea of not having to get up early every morning is rather appealing . 10. I knew I had to get up early. 11. We had to get up early to make the 6 o'clock train for Florence. 12. Mam hounds me to get up early. 13. I like to get up early and get a bit of work done before breakfast. 14. I hate having to get up early . 15. We've got to get up early[sentencedict.com], all right? 16. They have to get up early in the morning. 17. So he's fed up because he's got to get up early one morning in seven, is he? Well hard cheese! 17. Wish you can benefit from sentencedict.com and make progress everyday! 18. Carol says I ought to get up early and help you put the turkey in the oven. 19. No more pillow talk . You guys have to get up early tomorrow, remember? 20. Because, want to get up early every day to review my lessons, my mother lost a small alarm clock pendulum in a bed, hope it can regulate our study time. 21. 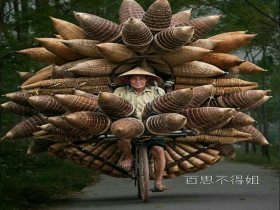 "I know I have to get up early, " said Mr. Wang, a local citizen, "but I simply can not fall asleep last night, and I just want to sack out in office. 22. It is his wont to get up early. 23. I'd ask you in for a coffee but I have to get up early for work in the morning. 24. I had slept only a few hours, but I had to get up early. 25. I also tend to go into a free-running sleep mode when I don't have to get up early every morning. 26. The younger generation of geisha is represented by the gum-chewing Mickey, an arrogant example of Westernisation who racks up debt around the district and moans about having to get up early. 5. We had to get up early to make the 6 o'clock train for Florence. More similar words: get up early, pearly, keep early hours, early, dearly, nearly, yearly, early on, clearly, not nearly, linearly, pearl, early bird, early days, half-yearly, early or late, an early bird, early and late, early warning, pearl millet, early childhood, mother-of-pearl, pearlescent, pearl harbor, early termination, The early bird gets the worm, cast pearls before swine, progestogen, get up, let up.